← What Books or Movies Inspired You to Travel? Do You Need a Guidebook? Guidebooks are the magic windows through which we can imagine, anticipate and plan travels yet to come. You should probably consult a guidebook or two whenever you travel to a place you do not know “like the back of your hand.” Things do change. Your fondly remembered bistro or stretch of beach might exist only in your memory now. Soften the disappointment by learning this ahead of time. A good guidebook can orient you to a destination. It can help you build anticipation as you find out who, when, and what happened in that very place you will visit. It can also tell you what to look for (arts, crafts, architecture, or music) so that you will recognize it when it walks right in front of you. What should you look for in a guidebook? Choose a book with a scope that matches your trip. Don’t buy a book about Italy if you will spend all your time in Rome. A good book will give you a brief summary of the area’s history, guidelines about travel and social customs, and maps of the areas discussed. Some hotels and restaurants will be reviewed, but these are only a small fraction of the reputable options available. Some books include lots of pictures. I don’t think you need the most recent guidebook available unless the area has just polished itself up, say, to host the Olympics. In that case you will want a recent – even forward looking – guidebook. For most destinations, last year’s library copy will do for pre-trip research. You can use the internet for the recent breaking news. If you are touring with a special interest in one subject (food, wine, history and so on), look for a book which gives special attention to that. Different books have different strengths. You should browse through a few different titles in a book store to find a book you like and feel comfortable with. My pet peeve is guidebooks with inadequate or inaccurate maps. I like good-sized maps that are easy to read (not faint black print on rust colored streets). Especially devilish are the maps which the proofreaders did not check. Why is the hotel with an address on the Plaza Mayor represented by a numbered dot in the outskirts of town? If I find two of those in a “reference” book, the entire book is suspect. 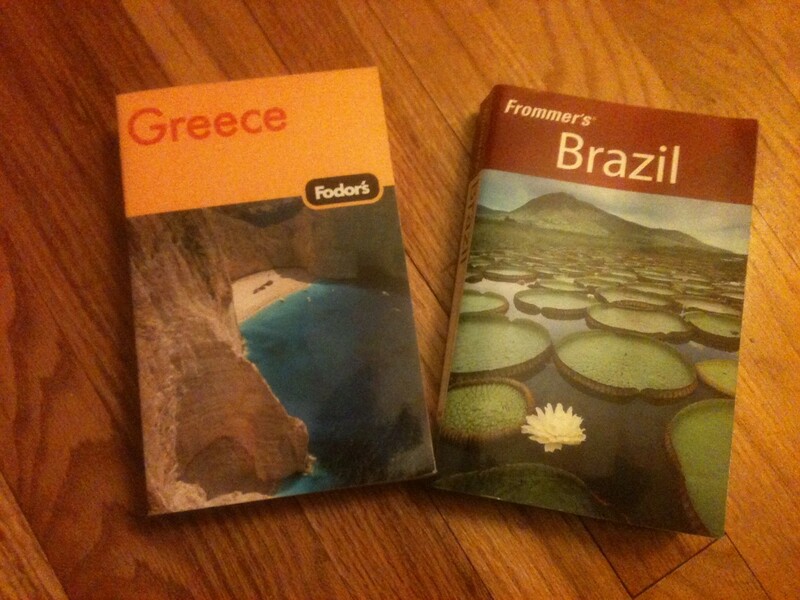 Fodor’s and Frommer’s are classic guidebooks. 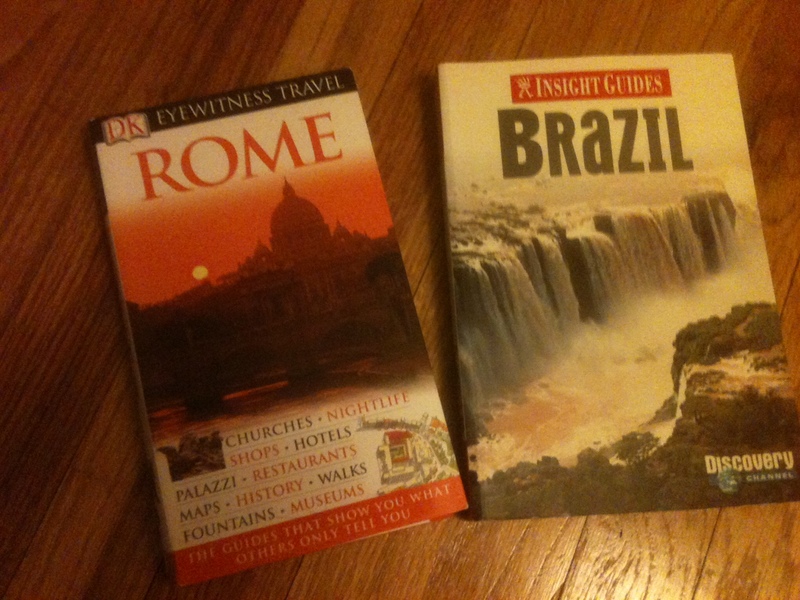 Fodor’s and Frommer’s guidebooks have been around for years. They are good classic books, printed with one accent color besides the black print. Insight Guides and Eyewitness Travel books include many color pictures, making them much livelier looking books. Fans of Rick Steves’ travel series on PBS will be familiar with the attitude his guidebooks take. American Automobile Association books and their excellent maps are a wonderful resource if you are traveling in the US and Canada. These are free to members. If you are planning a North American road trip and are not already a member of AAA, join for the duration of your trip. You can recoup the cost of membership in guidebooks alone. Treat yourself to a good guidebook or two for every trip. Read it before you leave home. (Please don’t embarrass everyone by reading it on the streets of Paris.) This investment of time and interest will pay off nicely once you get to the land of your dreams.